Whether building a road or fighting a war, leaders from ancient Mesopotamia to the present have relied on financial accounting to track their state’s assets and guide its policies. Basic accounting tools such as auditing and double-entry bookkeeping form the basis of modern capitalism and the nation-state. Yet our appreciation for accounting and its formative role throughout history remains minimal at bestand we remain ignorant at our peril. The 2008 financial crisis is only the most recent example of how poor or risky practices can shake, and even bring down, entire societies. In The Reckoning, historian and MacArthur Genius” Award-winner Jacob Soll presents a sweeping history of accounting, drawing on a wealth of examples from over a millennia of human history to reveal how accounting has shaped kingdoms, empires, and entire civilizations. The Medici family of 15th century Florence used the double-entry method to win the loyalty of their clients, but eventually began to misrepresent their accounts, ultimately contributing to the economic decline of the Florentine state itself. In the 17th and 18th centuries, European rulers shunned honest accounting, understanding that accurate bookkeeping would constrain their spending and throw their legitimacy into question. And in fact, when King Louis XVI’s director of finances published the crown’s accounts in 1781, his revelations provoked a public outcry that helped to fuel the French Revolution. When transparent accounting finally took hold in the 19th Century, the practice helped England establish a global empire. But both inept and willfully misused accounting persist, as the catastrophic Stock Market Crash of 1929 and the Great Recession of 2008 have made all too clear. 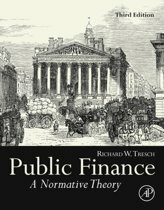 A masterwork of economic and political history, and a radically new perspective on the recent past,The Reckoning compels us to see how accounting is an essential instrument of great institutions and nationsand one that, in our increasingly transparent and interconnected world, has never been more vital. Darrin M. McMahon, author of Divine Fury: A History of Genius Who knew accounting was so interesting? Jacob Soll does, and in this masterful history of the men and women who have kept, and sometimes cooked, our books, he will convince you, too. The Reckoning does what the best history should: it piques our interest in accounts of the past so that we may better balance our own. Robert Bloomfield, Nicholas H. Noyes Professor of Management and Accounting, Cornell University Packed with riveting stories of how empires can be so easily felled by poor accounting, whether through willful disregard (Louis XIV) or lack of training (Lorenzo de' Medici), The Reckoning is a must read for anyone who hopes to avoid similar fates for the institutions they cherish. But the book is more than a litany of woes. Every student, teacher and practitioner of business or government should know this history of accounting, from its grounding in theology and philosophy to its central role in the rise of modern commerce, statecraft, and indeed, civilization itself. James K. Galbraith, author of The End of Normal Many have long known, or at least suspected, that CPAs rule the world. The proof is here. The Reckoning is a tale of power, empire, art and culture--and of their half-hidden puppetmasters from the Roman Empire to the Gilded Age. Emma Rothschild, Director of the Joint Center for History and Economics at Harvard University, author of Economic Sentiments: Adam Smith, Condorcet and the Enlightenment The history of accounting and accountability is in Jacob Soll's remarkable book a dramatic story of politics, morality, printing, temptation and the destiny of economic society. Arthur Levitt, former Chairman of the United States Securities and Exchange Commission The greatest frauds in the history of the world have been fueled by accounting misdeeds. 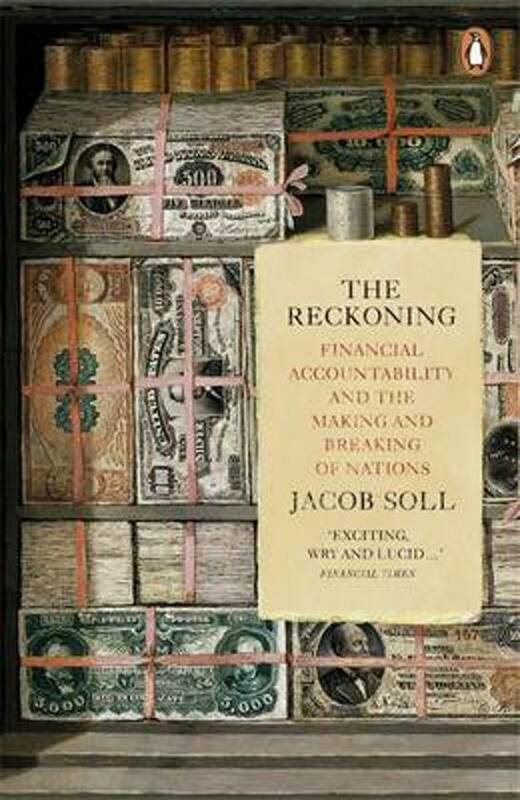 Jacob Soll's riveting book The Reckoning is a compelling argument for the historical and humane imperatives for clear standards and globalized regulatory oversight. Politicians and business people will benefit from a careful reading of this important book. Accounting Today In this insightful whirlwind tour of the history of accounting, professor and MacArthur Fellow Jacob Soll demonstrates why the profession and its players are crucial players in any civilization, while also making a strong argument for integrity and transparency in reporting. Accounting Today Full of fascinating details on the development of accounting over time. Prospect, UK Historian Jacob Soll develops the case that double entry ranks with gravitation, calculus and relativity, as he uses the history of accounting to provide insight into business and political history. Quantitative Finance [Soll] writes fluently, but with a professional historian's attention to detail... Those who take up the challenge will be rewarded with amazing tales... The Reckoning is a great read, a notable work of historical scholarship and a fine collection of stories to help guide those who would invest or govern. Business History Review [A] finely wrought and compelling work that combines impressive breadth and learning with remarkable brevity and crisply resonant prose... Soll also offers the grim history of how good techniques were forgotten, valuable advice ignored, and personal accountability sacrificed to seductive profit and vainglory. The book makes for sobering, if not harrowing, reading... The Reckoning is, in the final instance, an eloquent and essential argument for the importance of the humanities, not to mention humanity, to capitalism. Chronicle Review [A] sweeping, detailed history of how humankind has kept its books... Soll takes the reader on a tour of everything from accounting in classical antiquity to the murky origins of double-entry bookkeeping in the 13th century to the financial crisis of 2008... He is a master of the telling anecdote and the entertaining digression, embedding the mechanics of accounting in well-crafted stories complete with colorful personalities, dramatic turns of fate, and healthy servings of historical trivia. South China Morning Post Really interesting... [The Reckoning] shows the crucial role played by the development of accountancy in the management and indeed mismanagement of government and businesses. Creatively Accounting Think of the book as A Brief History of Accounting... Time and again, we see kingdoms and rulers establishing good practices and procedures leading to years of plenty, following by degradation into unaccountability and, ultimately, a great crash, i.e. their reckoning... The book does show the importance of educating ourselves in accounting, whether or not that is our field of study. As a Representative Democracy, how can we expect our citizens to make prudent financial votes if they don't have a basis for understanding the financial ramifications? New Zealand Herald A rollicking historical narrative. Economia [F]ascinating... [A] readable romp through a history of accounting. Publishers Weekly [An] absorbing history of accounting in the public sphere... [An] engaging narrative... The result is a provocative, illuminating take on history that assigns humdrum accountants a central and dramatic role. Kirkus An intriguing, well-crafted discussion highlighting a major contribution to political and economic well-being, with an obvious moral for today. Financial Times Soll's wry and lucid book traces this fraught relationship between accountability, economic success and political will from Renaissance Florence and the Netherlands to the larger modern republics of France and America, via the empires of Spain and Britain. In his hands, accountability and accountancy becomes a way of investigating the rise and fall of nations... Without political will, financial accountability remains toothless, but what scope is there for rigorous accountability when the accountancy firms behind banks and corporations thought too big to fail are already their advisers and representatives? Perhaps some rather old lessons from the surprisingly exciting history of accountancy can help us deal with these not so very new problems. Barron's [Soll] tells the story of that great mental invention [accounting] with flair and insight... The Reckoning records the first 600-plus years of accounting history in entertaining and insightful detail. Pittsburgh Tribune-Review The Reckoning demonstrates how financial transparency and accounting -- essential for capitalism and our global economy -- are linked with political transparence and accountability, drawing on such historical examples as the Medicis' Florentine city-state, the Spanish and British empires, the French Revolution, America's early days, the 1929 stock market crash, the Great Depression and the 2008 financial crisis. Literary Review, UK Financial accounting is at the heart not only of capitalism but also of any well-functioning government. Jacob Soll's The Reckoning is a detailed and versatile demonstration of this important historical truth, written by one of the world's pre-eminent experts... It is a dazzling book, rigorously researched and demonstrating an extraordinary scholarly range. Global Finance In Soll's retelling of history through the lens of accounting, somewhat obscure but endlessly fascinating characters take center stage. With their heads buried in numbers and ledgers, they made crucial contributions to the development of this practice and thus to the betterment of the world... Soll's book is chock-full of valuable snippets of information. Dropout Nation Top Eight Books of 2014 for School Reformers [An] exhaustive historical survey of what happens when nations weaken checks and balances in financial affairs... Soll offers reformers new reasons why they must resist efforts to weaken accountability by traditional districts and even institutional players within their own ranks... Soll also shows how inattention to the details of accountability...can lead to disaster. Wall Street Journal Mr. Soll spices his story with big historical personalities... [He] earns high marks for brevity...as well as for scholarship. Los Angeles Review of Books [A] brilliant, deceptively brief book... Soll pulls off the miracle of making his history not a monolith but a mosaic. 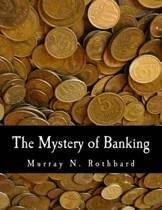 He examines financial affairs in a dozen eras with a cultural historian's flair for fidelity, but then assembles these fragments into a whole that leaves the reader satisfied with everything except the status quo. That's because what emerges from The Reckoning is an enormous missing concept in our debates over market and the state, as well as a mandate to rearrange our thinking in response. Andrew Blackman A history of accounting may not sound like an exciting read, but Soll spares us the details of double-entry bookkeeping and instead tells a series of engaging stories of well-known historical events like the French Revolution and the Industrial Revolution, and the not so well-known ministers, merchants and clerks who were balancing the books (or not) behind the scenes... I'd strongly recommend this book for the fresh insight it brings to familiar historical events, and for its author's ability to find the compelling human stories in the dry world of income statements and balance sheets. Jack Rakove, Pulitzer Prize-winning author of Original Meanings: Politics and Ideas in the Making of the Constitution Who would imagine that a history of accounting and double-entry bookkeeping could be so engaging? 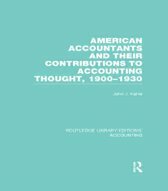 Yet in this concise, sharply argued book, Jacob Soll deftly examines and explains the remarkable impact that the practice of accounting has had on the rise--and sometimes the fall--of nation states. In his probing analysis, this commitment involves more than the dry techniques of bookkeeping. It also reflects and fosters a complex set of moral and political values whose persistence cannot be taken for granted--a lesson Americans have recently and painfully had to relearn.